I love this book but the cover belies whats in there!!!!!!!! 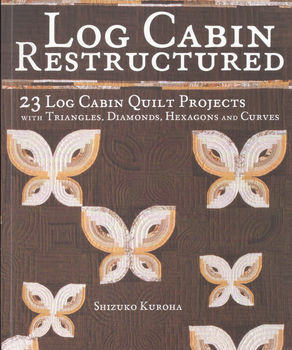 !It is by a Japanese author and is fabulous!Some beautiful log cabin combos in quilts with a very Japanese flavour and includes some bags with three dimensional applique flowers as well. Diamond log cabin, curved log cabin and many more techniques.